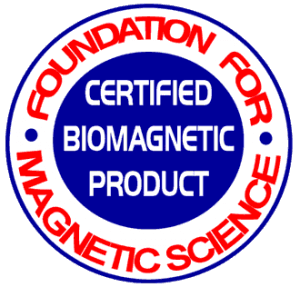 BiomagScience has over 35 years of R&D in magnetic clinical applications. It has developed over 180 simple and advanced protocols to help resolve painful, acute and chronic conditions. Its proven therapies are used by individuals and practitioners worldwide and it has provided amazing results. In developing its therapies, BiomagScience integrated Physiology and its electrical measurements with Energy Medicine to understand the correct energy values of the body. Correlating the fundamental similarities, BiomagScience developed its therapies to properly amplify the body’s flow of energy and its cellular energy to assist the body in pain relief and rapid healing. This knowledge is essential in providing proper therapy for the limbs which have different polarity meridians from each other. BiomagScience is the only company applying the correct therapies on the proper meridians. Other magnet companies DO NOT UNDERSTAND that using the healing energy on the wrong meridian creates electromotive stress which inhibits healing. Man with crushed knees and splintered legs to the ankle walked normally in 3 months instead of a year – without pain pills. Man’s nerve severed in surgery was told he would never feel anything from his knee down ever again. BiomagScience therapy regenerated his severed nerve. See video on site. Our great friend Sylvie who after 6 painful years of trying everything for her sciatica including useless magnets, resolved her problem. See video on site. BiomagScience has the first complete Magnet Therapy book “Conquer Pain, the Art of Healing with Biomagnetism” that has all the diagrams and information to guide the individual with the correct protocols for over 180 A-Z painful, acute and chronic conditions. It also includes information on the importance of magnetized water, how to defend against electronic smog and other issues of modern health. In addition, BiomagScience’s Illustrated Pictorial guide has all the latest Advanced Circuit Therapies responsible for awakening individuals out of terminating comas or assisting in resolving 15 & 25 year bedridden individuals. BiomagScience also has staff available during the day to help guide you in any protocols and perhaps develop a personalized therapy to assist you with your health goals or condition. 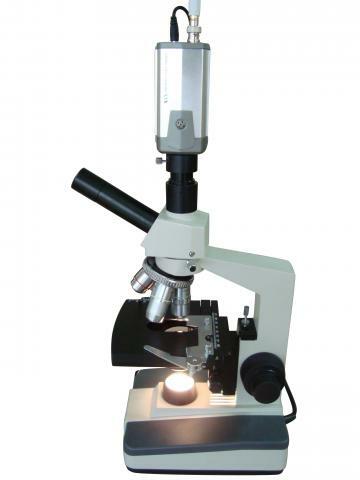 BiomagScience has established Research studies showing microscopic pictures and voltage measurements of the cells before and after therapies on individuals with acute and long-term chronic conditions who could not heal until BiomagScience therapies were applied. Two studies show within an hour of therapy, healing started after being bedridden for 15 years and 25 years with fibro, CFS, and Candida from mal-absorption. These studies include the changes in the blood and how quickly free-radical sites heal from therapy. BiomagScience only uses powerful, state-of-the-art Neodymium magnets and are color coded with the correct Therapeutic polarity markings and raised lettering on one side so they can be applied to out of sight places like the back by simply feeling the correct side. The Therapeutic polarity markings are very important because a number of companies are putting out the wrong marking and this is dangerous to your health because they cause and acid chemistry, increased inflammation and free-radicals and cancer in the long run. BiomagScience therapeutic magnets are designed in three specific sizes for all simple and advanced therapies from topical to deep tissue penetration and come with a lifetime power warranty. BiomagScience does not offer any magnetic jewelry or improperly designed wraps or braces. Most of these commercial devices are not designed with the correct energy & create stress in the body. 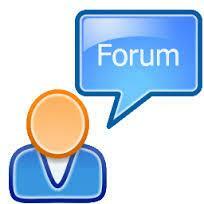 BiomagScience offers scientific answers in its FAQs and Reports that explain most of the questions people want to know. The Wellness Kit: the 22nd Century’s First Aid and Medical Kit. If you want the most comprehensive health magnet kit that includes everything to do all of BiomagScience’s therapies, the Wellness kit comes with twelve of the three sizes of medical magnets, Water Jar Magnets for healthy water, Bottle of Activated Oxygen for internal and external needs, the “Conquer Pain” therapy book, the Conquer Pain brochure, and the Advanced Therapy Illustrated Pictorial guide. Everyone should have a Wellness Kit in their medicine cabinet for daily vitality and First Aid for abrasions, aches, arthritis, back pain, long-term backaches, broken bones, stings, bites, bruises, burns, carpel, chronic fatigue, fibromyalgia, nutritional mal-absorption, lupus, herniated discs, sciatica, and over 170 simple, acute or chronic conditions. BiomagScience Water Jar magnets or Bio-Negative Cold Water Line Energizer is a simple, yet powerful method to instantly make great tasting, very healthy structured water which helps increase metabolic and immune functions. BiomagScience’s Supplements are tools for health, nutrition and pain relief. Used synergistically with Biomagnetic protocols, people have reported excellent results from their use in supplementing the body for their specific benefits. BiomagScience’s Activated Oxygen provides an increase of oxygen to the body which gives energy and supports increased metabolic functions. It is also great for cuts, burns, poison ivy, oak and other topical pain relief – especially when used with Bio-Negative energized water. BiomagScience’s Circulation Enzymes are an excellent oral chelation for removing vascular and cellular plaque. Circulation increases and blood pressure goes down after using this supplement for the required time. It also has shown that while taken with Biomagnetic energy, organs such as the pancreas have normalized after many years of unhealthy operation. People have reported the hGH – The Ultimate Supplement, BiomagScience’s natural human growth hormone, has given them a large increase in energy, better sleeping and an overall more youthful tone. If you need help, simply use the Search Program. If you can’t find it, please contact us and we’ll be very happy to help you.